Running is the most visible expression of the continued interest in regular physical activities. Unfortunately injuries are common, primarily due to overuse, and a number of aetiological factors have been recognised. Of these, training errors can be responsible for up to 60% of injuries. The training surface, a lack of flexibility and strength, the stage of growth and development, poor footwear and abnormal biomechanical features have all been implicated in the development of running injuries. A thorough understanding of the biomechanics of running is a necessary prerequisite for individuals who treat or advise runners. Clinically, the configuration of the longitudinal arch is a valuable method of classifying feet and has direct implications on the development and management of running problems. The runner with excessively pronated feet has features which predispose him/her to injuries that most frequently occur at the medial aspect of the lower extremity: tibial stress syndrome; patellofemoral pain syndrome; and posterior tibialis tendinitis. These problems occur because of excessive motion at the subtalar joint and control of this movement can be made through the selection of appropriate footwear, plus orthotic foot control. The runner with cavusfeet often has a rigid foot and concomitant problems of decreased ability to absorb the force of ground contact. These athletes have unique injuries found most commonly on the lateral aspect of the lower extremity; iliotibial band friction syndrome; peroneus tendinitis; stress fractures; trochanteric bursitis; and plantar fasciitis. Appropriate footwear advice and the use of energy-absorbing materials to help dissipate shock will benefit these individuals. Running shoes for the pronated runner should control the excessive motion. The shoes should be board-lasted, straight-lasted, have a stable heel counter, extra medial support, and a wider flare than the shoes for the cavusfoot. For these athletes a slip-lasted, curve-lasted shoe with softer ethylene vinyl acetate (EVA) and a narrow flare is appropriate. Orthotic devices are useful in selected runners with demonstrated biomechanical abnormalities that contribute to the injury. Soft orthotics made of a commercial insole laminated with EVA are comfortable, easily adjusted, inexpensive, and more forgiving than the semirigid orthotics which are useful in cases where the soft orthotic does not provide adequate foot control. A review of injury data shows an alarming rise in the incidence of knee pain in runners — from 18% to 50% of injuries in 13 years. 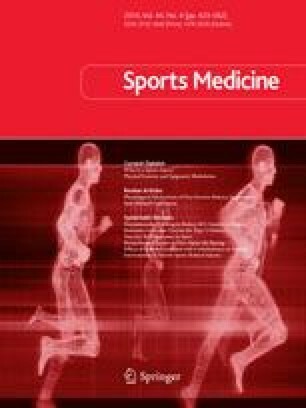 Errors in training judgement, with excessive loading, particularly in runners with compromised biomechanical features, represent the primary aetiological factors. These errors cannot be accommodated by running shoe design. Similarly, orthotic devices alone will not control the injury pattern of most runners. Although footwear and biomechanical control may represent a significant therapeutic intervention in some individuals, they must remain part of a comprehensive rehabilitation programme that considers the other aetiological factors that contribute to running injuries.